This is in the final installment of my Top 20! Be sure to check out Part 1, Part 2, and Part 3. I've often found bright blues a little tricky as far as working with my skin tone, but I loved this one. I wore it for a week. That is a good testament to how much I like a polish. The longer I wear it means something is right. This blue is bright, fun, and vibrant! Check out my full review. This is another great unique purple. I mentioned in the last part, my love for purples in spring and summer. This is a nice variation on the typical lilacs and lavenders. This is a bright red-toned purple creme. It's unlike any purples I own. Check out my full review. I discovered this polish on accident at a small beauty supply store. This glitter instantly attracted me. I love the contrast in the size of the glitters and the combination of iridescent and holographic. It's beautiful, and unlike any glitter I've seen lately..and I've seen a lot of glitters! Check out my full review. The whole Feel collection took me by surprise. I was not expecting to be so interested in winter neutrals, but these are so soft and beautiful. Kristen is my favorite of the bunch. I love the gray with the hint of blue. It's a very flattering shade. Check out my full review. 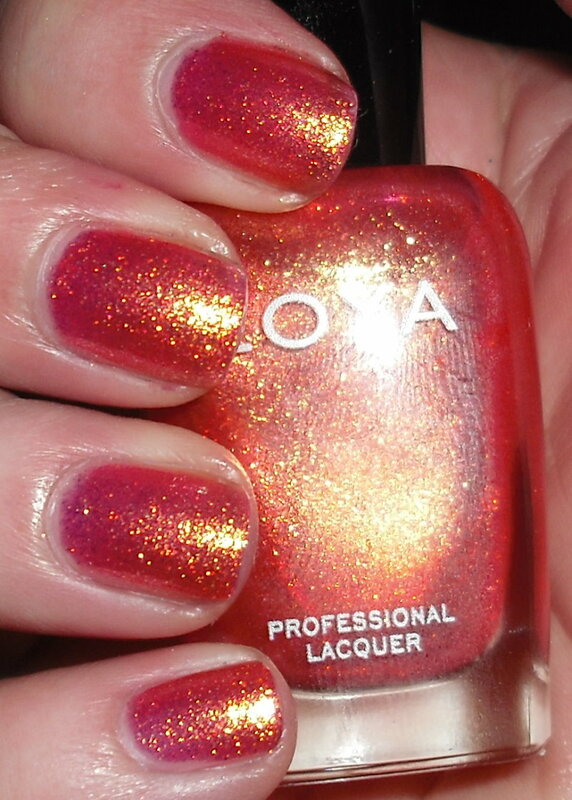 This was the color I was most looking forward to in the summer Zoya collection. I love a great coral, but this with that insane gold glittery shimmer is awesome! It's funny...I have both Cult Nails Captivated and Zoya Rica on my Top 20 lists and they very similar color wise. I have a thing for corals with golden shimmers or glitters! Check out my full review. Here are all my Top 20 together. I see a few commonalities in my Top 20 list. It seems as though the colors fall into 3 categories. 1. Colors that I had been wanting or dreaming of that came into fruition. 2. Colors I typically would not like, but ending up falling head over heels for. 3. Colors that I'm typically attracted to, but had some extra quality that made them super special. This list was hard to compile! I went back and forth on many polishes. That being said, I do have some honorable mentions! They are China Glaze Holly-Day, Zoya Dannii, Zoya Caitlin, OPI Mermaid's Tears, Revlon Starry Pink, Zoya Yara, & Girly Bits Razzle Dazzle! Do we have any similar favorites this past year? sigh...another year, another best of coming to an end. your pics of life preserver made me hunt it down in my stash and now i plan on wearing it soon. Great picks! I agree with so many of your choices! Great minds think alike :D. I absolutely LOVEd Friskt as well. Wonderful!! 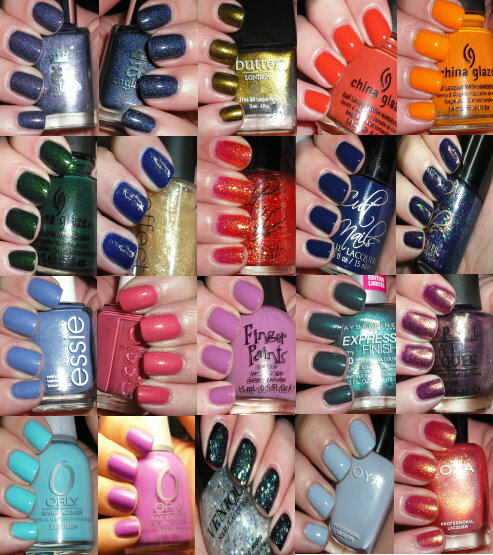 Those Orly's are so pretty :D.